Mobile service –visit to the customer’s site, performance of diagnostic and repair works in a suitable location or at your workshop. Engine service maintenance – replacement of technical fluids, consumables, belts, periodic valve adjustment in compliance with engine operation guidelines. Workshop repair – minor and major engine overhaul at the workshop. Technical consultations on engine operation – should any problems arise during engine operation, we are ready to help. 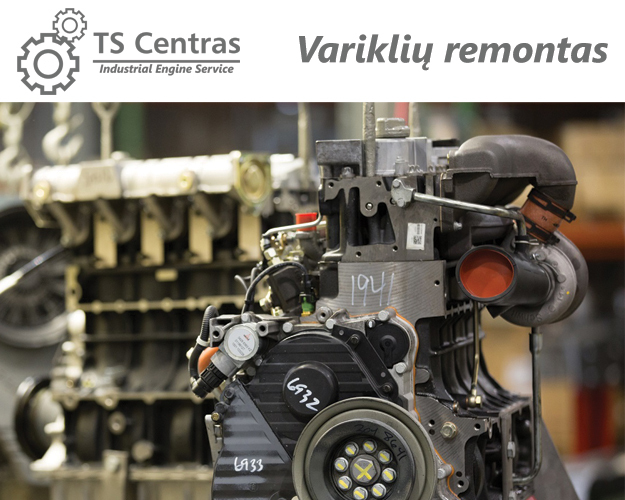 UAB “TS Centras” offers services in engine diagnostics, minor and major overhaul for industrial engines: DEUTZ, MWM, Lombardini, Kohler, MITSUBISHI, ISUZU. 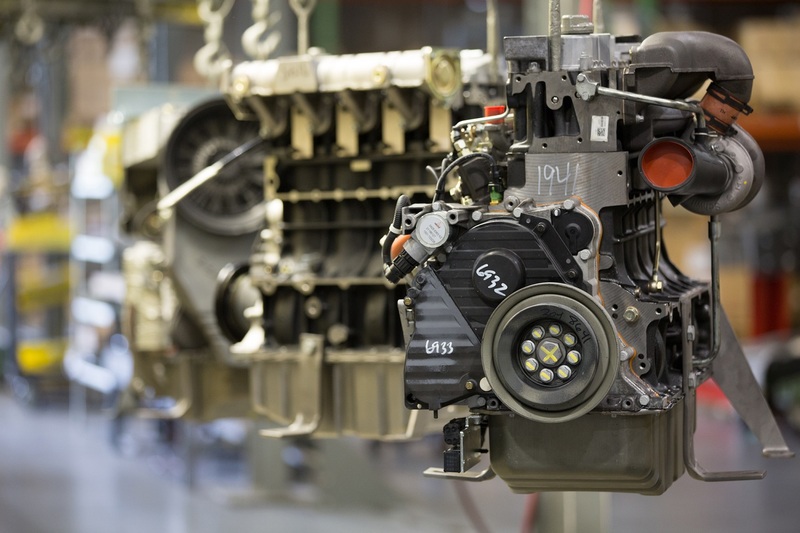 Engine repair is performed in compliance with manufacturer instructions and operating specifications. Only original spare parts are used for engines repair with a strict adherence to all manufacturer requirements; warranty is provided for repaired engines. A mobile service has been formed in Vilnius, mobile service team makes an on-site visit to convenient for the customer location, performs diagnostics, service maintenance and repair at the customer’s workshop. If some problems appear during engine operation – we are always ready to provide the necessary assistance. 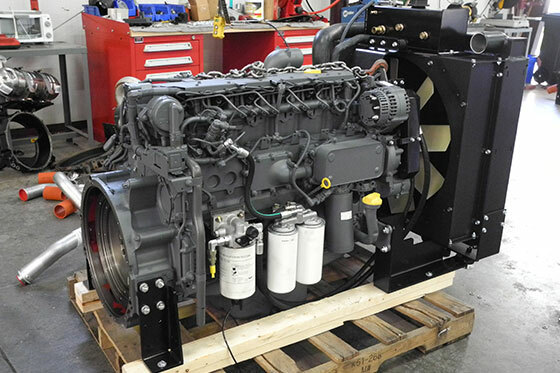 Our professional staff provide consultations on all aspects of engine operation. Engine repair is the most responsible service; therefore, a special attention is paid thereto. Safe and efficient engine operation is influenced by the quality of rendered services. Modern engines and machines are very sophisticated mechanisms ensuring the operation of equipment and systems. Engine is a major unit of automobile, tractor, mobile vehicles and it affects reliability of the machinery. Manufacturers put a lot of efforts in order to ensure faultless production of assemblies and devices, however, a qualifies assistance is required upon their breakdown. Diagnostics. Professional technical inspection of engines is the first step to identify a malfunction and eliminate it. After the fault location has been determined and defective parts have been revealed, they are subject to repair and replacement with new ones. During computer diagnostics, when connected to the electronic engine control unit, a fault is detected that occurs in the event of failure of individual electronic components, or when there is mechanical damage. During the diagnosis, professional original tools and other materials are used with all the requirements of the manufacturer. A fault, that appears in the event of individual electronic components’ failure or when there is a mechanical damage, has been revealed during computer diagnostics through connection to the electronic control unit of the engine. Special original tools and other materials are used during diagnostics with a strict compliance with all manufacturer requirements. Service maintenance. A number of technological procedures, as prescribed by the manufacturer, shall be performed in order to maintain a good working condition of the engines, such procedures include replacement of technical fluids, belts, regular valve adjustment. All works are to be carried out in accordance with manufacturer operational instructions in the specified service time and subject to specifications. Minor and major repair. The staff of UAB “TS Centras” includes only highly skilled personnel, therefore we guaranty that your vehicle is in safe hands. The full range of repair works is performed by us – from oil replacement to the overhaul. In case of incorrect engine operation or other troubles, we could promptly diagnose and eliminate the failure with the help of available diagnostic equipment. Spare parts, materials and tools of the highest quality are used during repair. Mobile service. This service on engine repair can be provided on the site of engine breakdown or at the customer workshop. We go out to the convenient location and there perform diagnostics and repair. Warranty and post-warranty repair. For engines of brands- Deutz, MWM, Lombardini, Kohler, Mitsubishi, Isuzu we ensure quality warranty providing that the engine is operated according to the manufacturers requirements. We render professional services on repair during warranty and post-warranty periods. Consultations. Do you have any questions on engine operation? We are ready to answer them. We provide professional consultations on issues relation to operation and repair of various engines. Adhering to the highest labor standards, engineers of UAB “TS Centras” accurately determine mechanical and electrical failures and offer the best repair solution. This is what we call top–grade and quick engine repair.